At Dr. Marra & Associates, we are pleased to offer a wide range of optometry services for our community! 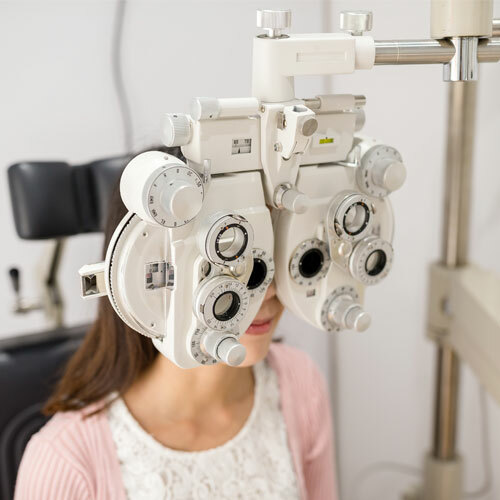 Our experienced optometrists can provide you with thorough eye evaluations, determine if you need corrective lenses and your exact prescription strength, fit you with the appropriate specialty eyewear, and help you pick out the most flattering pair of glasses for your face shape and skin tone. The BEST eye doctor in Toledo. I've been seeing the doctors at this practice since I was fitted for my first pair of glasses in third grade, and now I'm 36 and still love every pair I've received from them. Also, the staff is great! Dane is always attentive to every question or concern that my family and I have had while deciding on our frames and lenses. Thank you for everything you guys have done for us over the years. Your child should have a vision examination by no later than three or four years of age. Of course, children with any signs of eye problems should be examined immediately, regardless of age. Modern technology makes It possible for a Doctor of Optometry to examine a child who is too young to read, talk or answer questions. it is also Important to remember that an annual school vision screening DOES NOT constitute a thorough visual exam. Many patients over 40 wish to wear contact lenses but dislike the limitation of having to wear reading glasses or mono vision (one eye for distance and one for near). 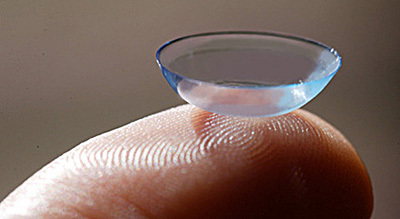 Technology improvements have finally given us a repertoire of contact lenses that will work for about 90% of patients. Just five years ago the success rate was only about 50%. Dr. Marra and Dr. Tucker are fully educated on the “latest and greatest” to tailor the fit for each motivated individual. SynergEyes Contact Lenses are a breakthrough product that combines the superior optics of rigid gas permeable lenses with the comfort of soft lenses. Dr. Marra and Dr. Tucker are among a select few trained in the fitting of these specialty lenses. They are especially good for comeal irregularity and bifocal prescriptions. Triune RGP: This translating rigid lens design works like a spectacle lens with distinct reading power at the bottom portion of the lens. It is considerably thinner and more precise than previous designs. It works best on patients with astigmatism, high vision demands, and patients who have worn RGP lenses previously. Disposable Soft Bifocal lenses were a true breakthrough product in terms of low cost, initial comfort, and practicality of fitting from trial set. For most patients, we can demonstrate these soft lenses at the same time as your initial eye exam and dispense the same day. For some, it requires some adaptation and a small compromise of vision. It works best for those who like disposable soft lenses. Sometimes similar design deposit resistant soft lenses are best. We carry over 1800 fashion frames backed by an unconditional one year warranty. We offer an extensive inventory of trial contact lenses.